A 90 minute show with interval.. cabaret boom boom favourites Mr lodge, Mr Herbert and Mr Maynard with guests Madame Zucchini and Frank Wittering present a different show for the last one! A surprising mix of circus, comedy sketches, live music and veg theatre, with surprises we can not reveal!! Stewart Lodge is a multi talented actor and character comedian who delights audiences all over with his silly and catchy comic songs about Dogs on bicycles, Wicker boats (Coracles) and the end of the world. He is a regular compère at Cabaret Boomboom in Sheffield and Cabaret Saltaire in Bradford. Juggler, balancer and purveyor of preposterous and unlikely skills, Mr Herbert (Zoot) has been performing nationally and internationally for over 20 years. His shows are funny, friendly and presented with wit, charm and a certain fumbling grace. 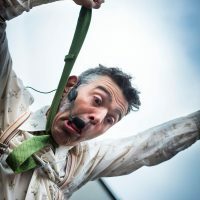 International Fool, Maynard Flip Flap is a regular face at Cabaret Boom Boom, He has been entertaining audiences world wide for over 25 years, including appearances at Montreal Just for Laughs festival, Buckingham Palace and Jools Holland's Hootananay. Maynard will balance your shoes on his nose, escape through a coathanger, get stuck in a Box and sing like a baby...anything to get a laugh! 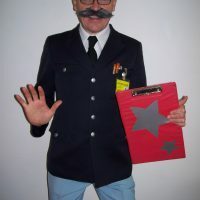 With his fellow comperes from Cabaret Boom Boom, he has appeared on the BBC childens TV show The Slammer, where one audience member discribed him as 'reminiscent of Jacque Tati'. 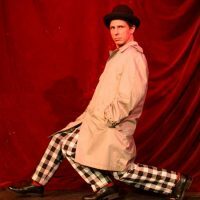 Maynard is a crowned fool of Muncaster and has won awards with his street theatre show Daft as a Brush, he is a proud member of the 1st Yorkshire Unicycle Display Team, and has trained with eminent theatre teacher Philippe Gaulier. Madame Zucchini loves vegetables and wants to share that joy with you. 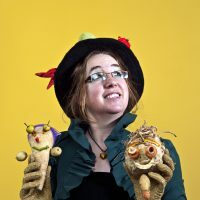 Join her and her vegetable actors as they perform in Star Wars, Jaws, Draculeek and Frankenvegetable to name but a few. AS seen on BGT..!